Laurus Nobilis is a new 3-day festival in the north of Portugal. 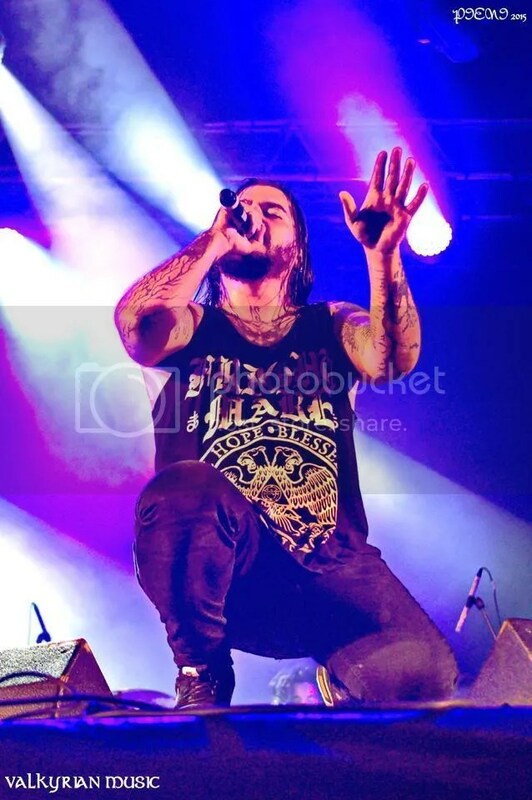 Each day is dedicated to a different genre of music – in fact, the alternative name of the fest is “Festa da Música” (Music Party) – the first being “heavy metal”, so off I went last Friday. “Heavy Metal” in its general meaning, that is, as none of the four bands had such a traditional sound. The first band, Éden, was supposed to get on stage at 19:30 but the show was delayed for about an hour. It wasn’t the band’s fault, not even the promoter’s. It’s just that it was a week-day, and despite being summer, a lot of people are still at work. Even at 20:30 there was only a fraction of the big crowd that would later pack nicely the area in front of the stage. Éden is local band that’s been around for 20 years – although I confess it was the first time I’ve heard of them. Metal sung in Portuguese, with an alternative vibe and a very expressive singer. Despite the long career, it seems they only have two albums out – “Kaos” (1999) and “Ciclo Fechado” (2012) – but they’ve always been active, either playing live or working in other musical projects, so there wasn’t any hint of rustiness in their performance. Some people in the audience engaged in their sound right away but others – especially the kids who were already at the front row waiting for More Than A Thousand – were a little harder to convince. 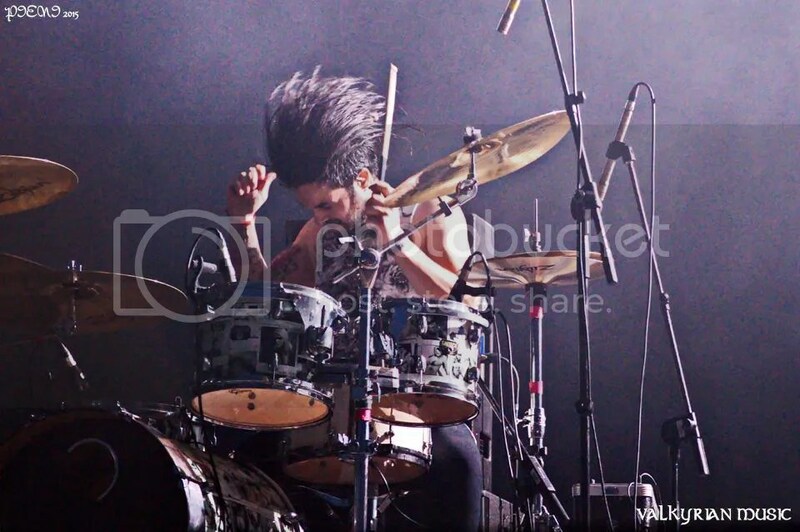 But in the song “Voa” (which means “fly”), frontman AguiarS smiled and said “you’re not flying… but we are!”. And that was amusing enough to make the more skeptical let themselves go to Éden’s sound. For the last song, AguiarS left the stage while a couch was placed in front of the drumkit. He’d soon return wearing a white tunic and holding a staff, which automatically made me think of St. Peter. But since they have a song named “S.º Sinfrónio”, I believe that was the song that closed the gig. Then More Than A Thousand stormed the stage with “Feed The Caskets”. Like I’ve said before, they had a legion of fans eager to see them – including me. MTAT announced early this month that they’re going into a hiatus, one with no foreseen expiration date, so I tip my hat to Laurus Nobilis promoters for recognizing the band’s talent (trust me – that’s not always the case around here, in their own home country) and giving them one more chance to say goodbye to their fans – some of them who were seeing MTAT for the first time and whom singer Vasco Ramos “welcomed to the family”. I’ve seen MTAT a couple of times before (a lot less than I’d like to, sadly) and the interaction between the band and the crowd feels indeed as if you’re among good friends. 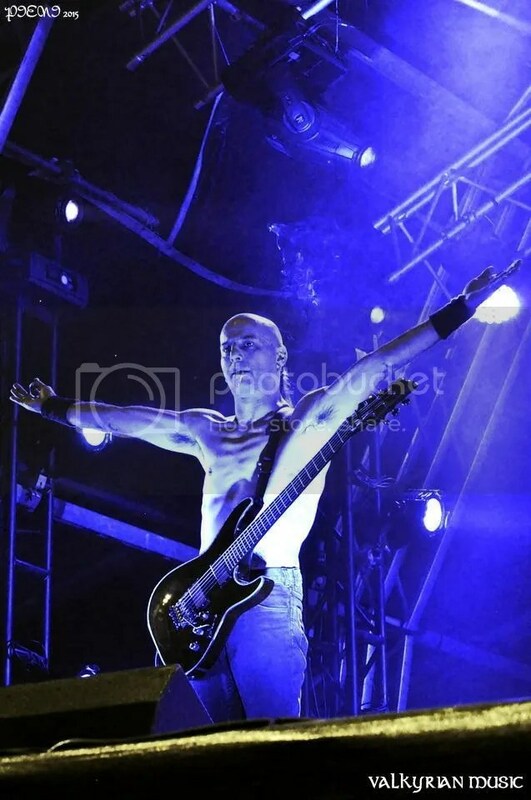 Vasco keeps the spirits up constantly, asking for screams, jumps, fists in the air and mosh pits, and the other members, even without a microphone, encourage the crowd just the same by clapping their hands or simply with their lively posture. So what if Vasco went out of tune once or twice? Their music is top-notch metalcore and the way they give themselves to it is a match. I was just hoping for a somewhat longer gig, but that understandable delay messed with every band’s schedule (except for the headliners, that is). Still we heard a fair share of their mandatory songs, the last being the usual “No Bad Blood”. I’m not sure how famous R.A.M.P. 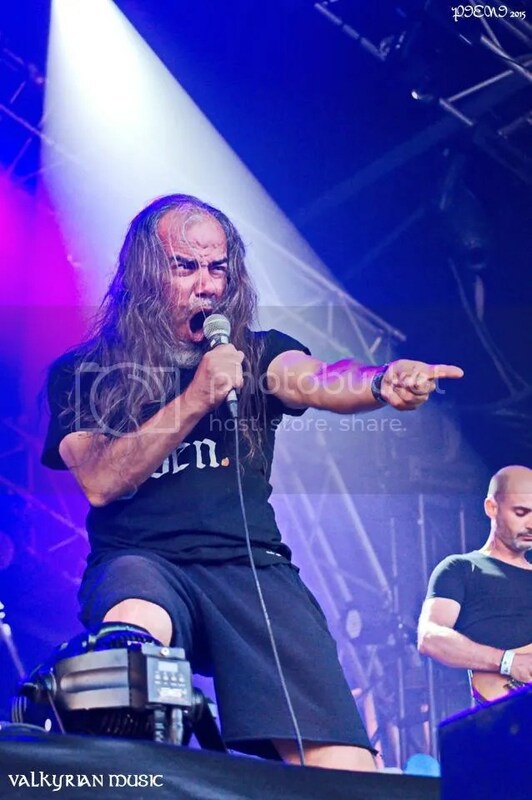 are outside of Portugal, but here they’re close to legends – after all, they were the first metal band to enter the Portuguese music charts, back in 1998. 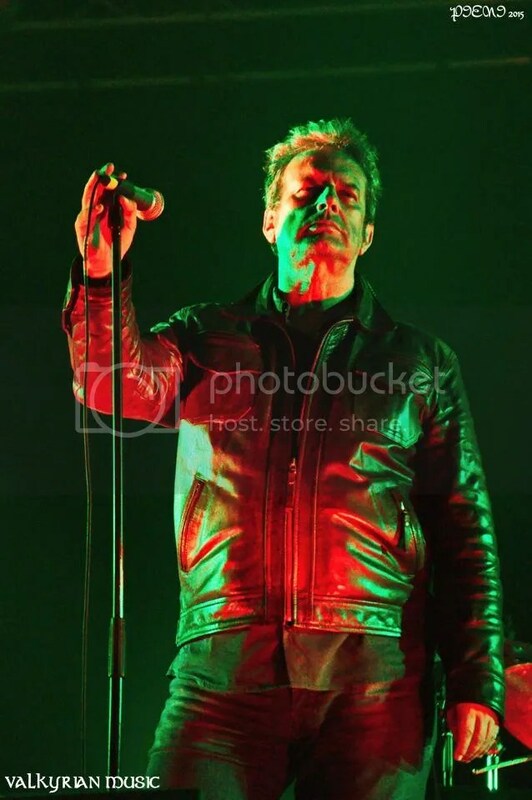 And more than 25 years after their formation, and despite their latest album (“Visions”) being six years old already, they still stir crowds – because they’re one of those bands that always deliver a tremendous show, new material or not. 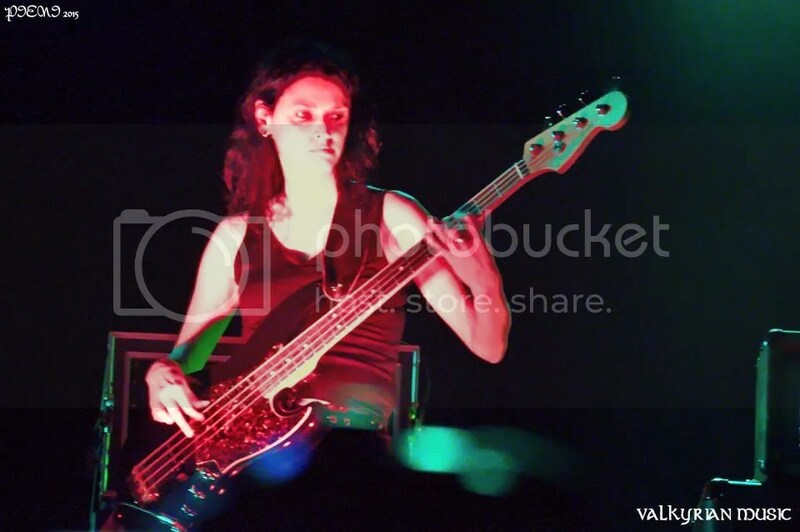 Also, they’re proof that metal can be as aggressive as amusing – that flood of heavy riffs and sharp beats always hand-in-hand with funny faces and teasing one another (bass player Sales, being the youngest and the shortest, is their favorite target…). Let’s not forget singer Rui Duarte’s remarks. I believe my favorite from this show was when there was a little misunderstanding regarding the next song to play. As I’ve said before, the schedules suffered some changes and it seems that Rui thought they’d be playing even less than they actually would. So he started introducing the ballad “Alone”, which he always dedicates to his mother, but drummer Paulinho called him, telling him there was still one song before that. “Okay, so this one is not for my mother, is for an ex-girlfriend”, was how he amended the introduction to “Clear”. There were a lot of classics missing from this setlist, but since their last tour was a best-of one, to celebrate their 25th anniversary, it was refreshing listening to songs that I hadn’t heard live in a while. And by the crowd’s response, they were happy too. I’m pretty sure that headliners Mão Morta (dead hand) are unknown to non-Portuguese natives. Here, they are huge. They’re considered avant-garde/death rock, but personally, I think they’re too unique to fit any label. The songwriting is dark, in a creepy kind of way, and then the lyrics address capitalism and politics in general, as well as human rights and basic instincts – sung in Portuguese, in Adolfo Luxúria Canibal’s overly-deep voice, it was almost impossible not being a success around here. 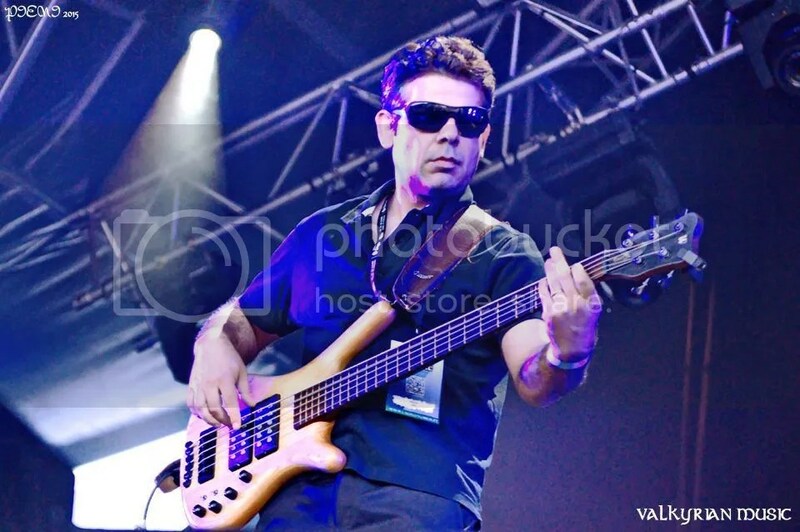 With 16 albums out – the latest, “Pelo Meu Relógio São Horas De Matar” (according to my watch it’s time to kill), released last year – the band delighted the audience with recent tracks just as “Os Ossos De Marcelo Caetano” (Marcelo Caetano’s bones) and “Pássaros A Esvoaçar” (birds flying), and old ones like “Tu Disseste” (you said) or “Anarquista Duval” (Duval the anarchist). It’s not exactly my cup of tea, but one look at all those people swaying to that sound and it was clear that the headlining role had been deserved. I wasn’t at the other days of the festival, but this first one was convincing enough – a great place, with very welcoming people, diverse food spots and, of course, some of the finest names in our musical scene. See you next year! Gallery in our Facebook page here. ‘Salvation’ is the latest demo from the Malaysian death metal band Blasphmachine. Like all their previous releases, it is strictly limited to 300 copies of the CD version, fifty hand numbered cassettes and digital downloads. Temple of Desolation starts off with a deceptively slow ambient intro before the guitars and drums blast their way through. The pace of the music and the guttural growls makes me think of Cannibal Corpse, however Blasphmachine’s signature sound has that raw brutality which is a rarity in death metal these days. Whilst most of the tracks on here tend to be rather short and fast, Commandments caught my attention due to the variations in both pace and the vocal style. Unlike its predecessors, this song is a bit slower at times and the guttural vocals have been replaced by rasping snarls akin that of early Morbid Angel. The same death metal style is present in ‘Leviathan’, only this time the drums sound even more aggressive and brutal. Last but not least is the most primitive and ferocious track on here, a cover of Black Witchery’s ‘Into Damnation Eternal‘ which comes complete with ultra-fast blast beat drums and raw guitar riffs. In summary this is a decent-sounding death metal demo. I need to emphasize the term “demo” here, because the production quality is not the greatest. Whilst I appreciate the raw brutality of the music, there were times when I actually struggled to hear the guitars amidst the incessant barrage of pummeling drums and growling. In anticipation to their third full-length “Antebellum”, Portuguese metalcore act Hills Have Eyes have just released a video for the song “The Bringer Of Rain”. The track is already known to some of the fans, as the band’s been playing it live for some time now, and it’s now available for purchase on iTunes (click here). “A brand new chapter is coming for Hills Have Eyes. 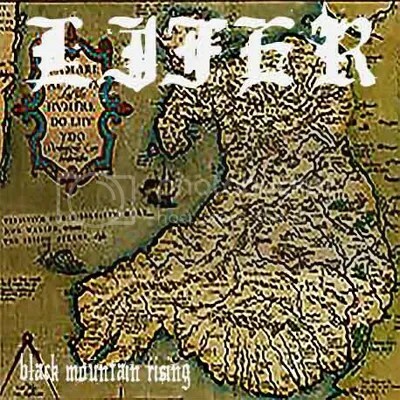 Well, some of us have been waiting quite a while for the follow up to Lifer’s 2011 debut full-length, Cursing Them Out, and the Welsh lads have answered that call with a flaming uppercut straight out of Streetfighter. If you hadn’t heard of them before, their name, shared with that of a track by a certain New Orleans super-group, could well have you expecting riffed-up, heavy blues metal. And you’d be absolutely right! There’s definitely more than a hint of NOLA involved here, with pummelling, addictive riffs, Sabbath worship, and wah-wah solos pouring out of every sweaty gland. Black Mountain Rising, however, has the added character of a rock and roll vibe, possibly hinted at in the title’s similarity to a line in Clutch’s The Swollen Goat. As is often the case with UK metal bands, though, Lifer churn out at slightly grittier, dirtier sound than their predecessors. Where this release differs most from Cursing… is the way in which the above mentioned R’N’R’ has replaced much of the original hard-core element of their sound. That really is just another way of infusing a bit of punk ethic to the massive, overarching metal components. Naturally, this second opus enjoys a bigger production, making it easier for the hard edge of their non-metal influences to come through, so nothing is lost in terms aggression at all. Hugely enjoyable, and stacked with groove and attitude, this is set to be yet another icon of UK sludge oriented music in 2015. Stood next to Diesel King’s Concrete Burial, there’s currently some formidable output in that particular corner of the metal scene. To think it started off looking like the year of British thrash. Maybe it can be both. One thing’s for sure; Lifer have unleashed a beast in Black Mountain Rising. If you like to party loud and heavy, you need this in your life! 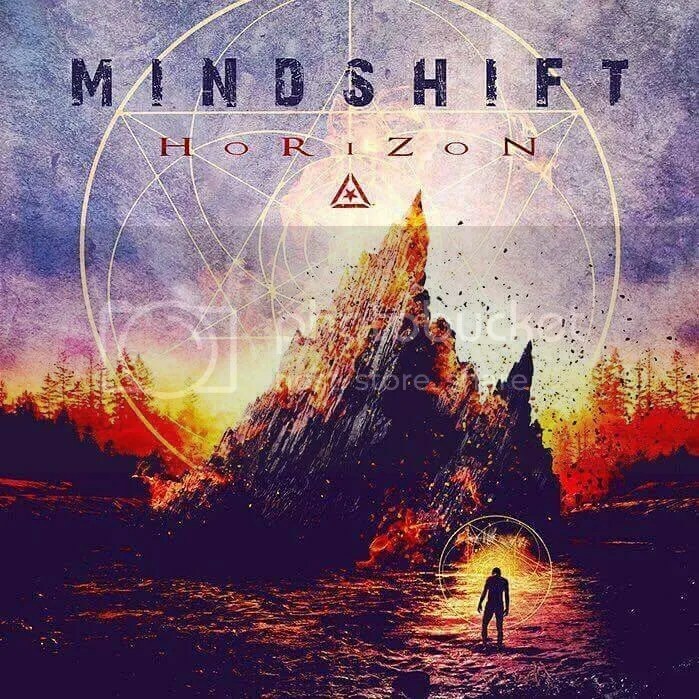 If I got this right, “Horizon” is Mindshift’s third album. You’ll only find this and the previous one, “Evilution, In Time” on Spotify, but there’s reference to a certain “No Regrets”, from 2012. Not that it really matters, as I won’t make any comparisons; “Horizon” has a merit of its own, without the need of saying if it’s better, worse, or simply different from what Mindshift has done so far. There’s melodic death metal all around the world, but we know damn well that the one that comes from Sweden has a certain… “something”. When you hear songs such as “Arise” or “Drowning”, when you hear that dynamic-heaviness-meets-sad-melody, you know exactly what I mean. The title-track, on the other hand, has a more upbeat vibrancy embedded on an even stronger composition. It’s pretty understandable why the album was named after this one, and why there’s also a promotional video for it, although there are a lot of treats in “Horizon”. Like the menacing “Eye For An Eye”, the hints of prog halfway through “Suffer In Silence”, the groove and gloominess of “A Thousand Scars”, or the acoustic intro in “Reflections”, that yet isn’t as sentimental as the electric solo later on. 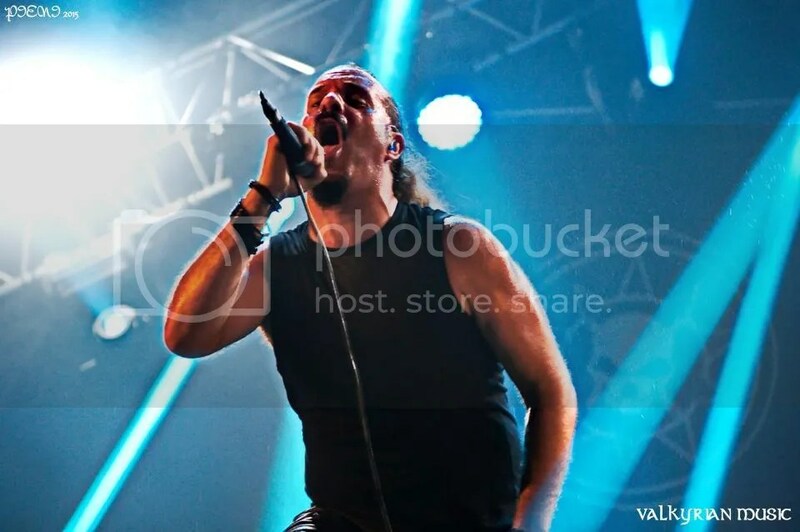 And then you have Soilwork’s Björn “Speed” Strid adding an extra vocal power to the straightforward “My Revenge”, although, in that same right-on line of sound, I admit I prefer “Decay”. These 13 songs (plus the intro “Origin” and the spoken interlude “Light”) embody a rich songwriting, full of details prone to become earworms. The old-school and the modern melodeath walk naturally hand-in-hand here, resulting in a very complete album within the genre. Complete and remarkable. 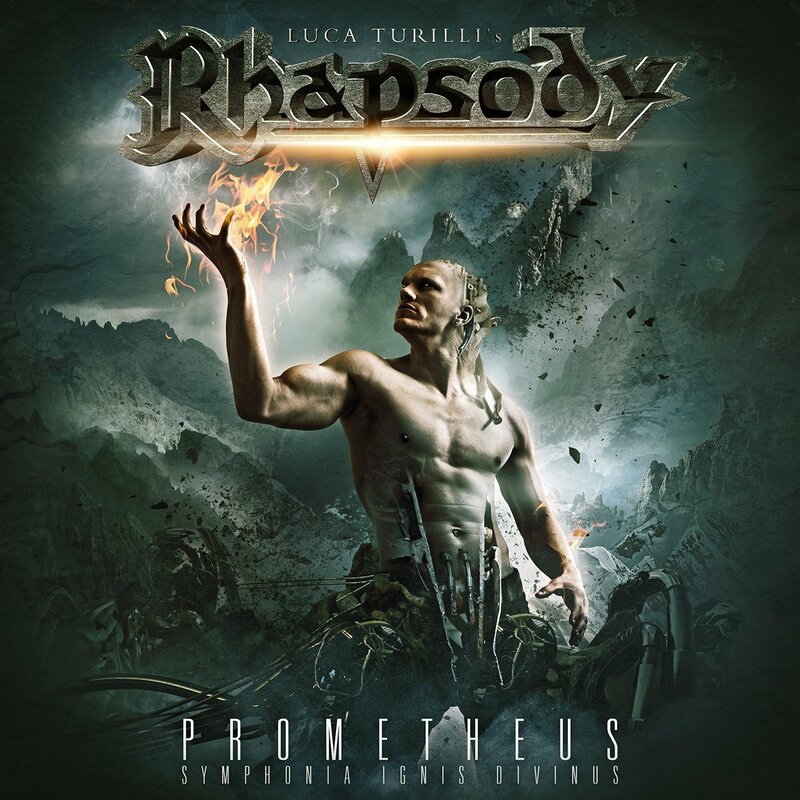 Prometheus, Symphonia Ignis Divinus is the second studio album by Italian symphonic power metal band Luca Turilli’s Rhapsody. It is the first album with Alex Landenburg on drums, following Alex Holzwarth’s departure shortly after the recording of the previous album Ascending to Infinity (2012). The album opens on the intensely atmospheric and interesting intro track, “Nova Genesis (Ad Splendorem Angeli Triumphantis)”, it’s one of those intros that lets you know you’re in for something truly special. The mix of electronic and classical music really is inviting and I was interested to hear where the album was going to go from there. From there into “Il Cigno Nero” which plays out as a typical symphonic metal track. Turilli’s compositions are gorgeous and the arrangements work beautifully. The piano parts are lovely and the ever so slight power metal touch to this song is nicely executed. Also, Turilli’s guitar skill is amazing, he just packs so much content into every track. I feel that the lead in the single was quite well chosen, the song “Rosenkreuz (The Rose And The Cross)” has a very nice melody and feels big. In fact, the whole album feels immense and impressive. Just the sheer size, scope and ambition to this album feels really impressive. This is an album that rewards repeated listens. Everytime I go back to it, there just feels like there was something I missed. There is just so much going on in the background. Nearly every time I’ve come back to it, it feels like a different record. Similar to movies, I enjoy music that challenges the audience and gives them something worth coming back to, time and time again. It’s always something small, like the background choir or some subtle synth but it’s just rewarding to listen to at the end of the day. One song I’ve particularly experienced this with is “Il Tempo Degli Dei”. This song so good and every time feels different, depending on what I’m doing or how I’m listening to it. It just has a lot of interesting moments, the structure is solid and hits every point I want it to, when I feel the song needs to hit it. It’s very hard to describe in words, this is an album needs to be experienced in full. I can’t think of any real downside to the album, other than nothing is really that catchy, there are no songs that get stuck in your head. Then again I don’t think it’s really meant to. It’s meant to be a musical journey through Turilli’s imagination. It was reported that it took seven months of composition, three months of production, over 50 days of mixing, working with two choirs and several special guests and let me tell you it really shows. I absolutely adore it. It sounds and feels huge. This is really a fantastic piece of work, I can’t stress that enough. All really have is praise for it. This isn’t just an album. It’s art that needs to be listened to in full. So scratch 70 minutes out of your day, get a drink, put your feet up and enjoy. Take my word for it, you will not regret it. My third 5/5 this year!